These recipes from Geoffrey Zakarian, Sunny Anderson and Anthony Scotto are fit for a legend. Chefs Geoffrey Zakarian, Anthony Scotto and Sunny Anderson are wishing Kathie Lee Gifford a fond farewell with a few of her all-time favorite recipes. 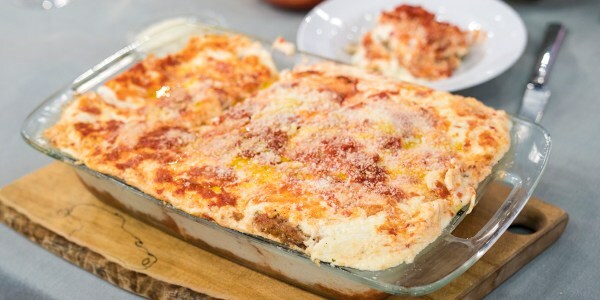 Scotto prepares an eggplant and zucchini pie, Zakarian shows us how to make fresh crab salad lettuce wraps and Sunny whips up a citrusy meringue-topped pie. I love this recipe because it is simple and refreshing. 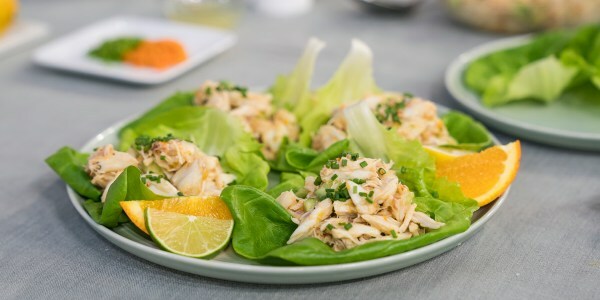 Also the act of wrapping the fresh crab salad in tender lettuce leaves makes it interactive and a fun social moment. 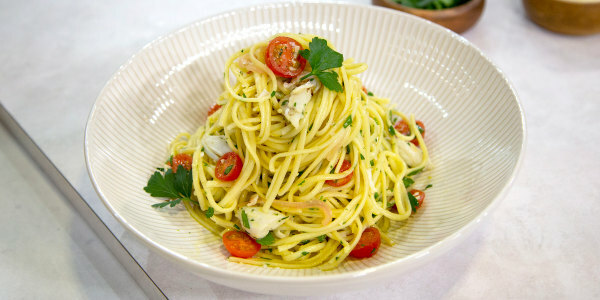 Kathie Lee Gifford designed this dish 20 years ago! 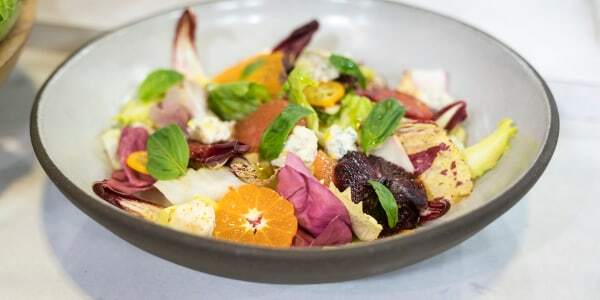 It's still just as popular as ever at my restaurant, Fresco by Scotto. This recipe is great because it has the flavor of key lime pie without having to squeeze all those tiny limes. 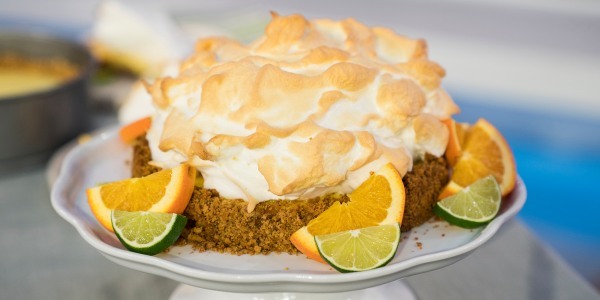 Plus, I love anything topped with meringue!